Seventeen-year-old Dylan Kennedy always knew something was different about him, but until his mother abandoned him in the middle of Oregon with grandparents he's never met, he had no idea what. When Dylan sees a girl in white in the woods behind his grandparents' farm, he knows he's seen her before... in his dreams. He's felt her fear. Heard her insistence that only he can save her world from an evil lord who uses magic and fear to feed his greed for power. Unable to shake the unearthly pull to Kera, Dylan takes her hand. Either he's completely insane or he's about to have the adventure of his life, because where they're going is full of creatures he's only read about in horror stories. Worse, the human blood in his veins has Dylan marked for death. I requested a free copy because of the interesting synopsis. And it did not disappoint. The book started with a mysterious air. The dream Dylan, the main character, is getting and his mother's behaviour intrigued me and quite set the pace of my reading. When Teag, another realm, was introduced, things got a little bit clearer. It was interesting to read about Teag: the world-building and the new fantasy elements introduced (new, at least for me). Although there were cliché elements, and the plot got a teeny bit predictable, it was still enjoyable to read. 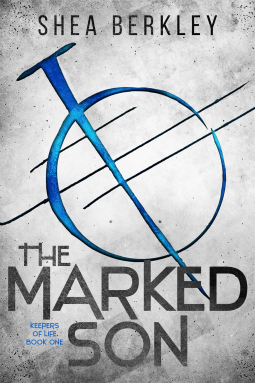 The Marked Son is the first book in a trilogy. I liked how things were introduced but still left rooms for exploring in the next books. The build up of the story can be graphed as a plateau. There was quite an action near the end, and then it went flat, though I think it still has a good resolution. There were two things I had a hard time grasping though. But other than those, plot-wise The Marked Son is a entertaining fantasy read. Dylan is an okay protagonist. If the author's objective is for the reader to feel like Dylan is just a plain boy, nothing much going on, etc., then I think she succeeded. He has one inherent characteristic I am not a fan of though, but I'd like to see how he will overcome that. Also noteworthy is his relationships with his mother and his grandparents. With those, I am looking forward to seeing how Dylan's character will develop in the next books, especially about his relationships. Kera, on the other hand, is the usual heroine type. I liked her strong character and I liked that she cares for her people. Like Dylan's, I'm also looking forward to reading more of her character development in the next books. The author's writing style is okay. I was not totally amazed by it, but I liked how despite the cliché elements, I was still able to enjoy the book. Told in an alternating POV, Dylan's (told in first person) and Kera's (told in third person), I was able to get a wider view of their world and circumstances while still leaving enough mystery to pique my interest. I also liked how the story was easy to follow despite the introduction of a new world. The new fantasy elements were also described well making my reading experience easier. Overall, I really did enjoy reading The Marked Son. It may not be a 100% unique read but it was entertaining. I already have the second and third books in the trilogy, so I am excited to read them soon and find out more about the plot and character development. Shea Berkley has a fondness for characters, real life ones and those she makes up in her head while she’s tending to a multitude of mundane tasks she’s forced to do in order to survive. 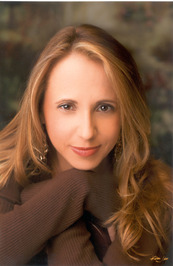 Writing gives her purpose (okay it keeps her out of trouble…mostly), and she can’t imagine herself doing anything else. Her interests include painting, kickboxing, riding horses, reading and watching movies and her favorite TV shows just to name a few (Source: Author's website). Dislcaimer: I got a free copy from the publisher in exchange for an honest review.